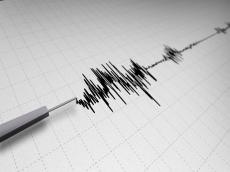 An earthquake of 3 magnitude was observed in Azerbaijan's Aghsu district at 18:19 on March 14, Trend reports referring to the Republican Seismic Survey Center of the country. Tremors were recorded nine kilometers south-west of Pirgulu station. The earthquake was felt in the territories of Shamakhi city and Pirgulu settlement.